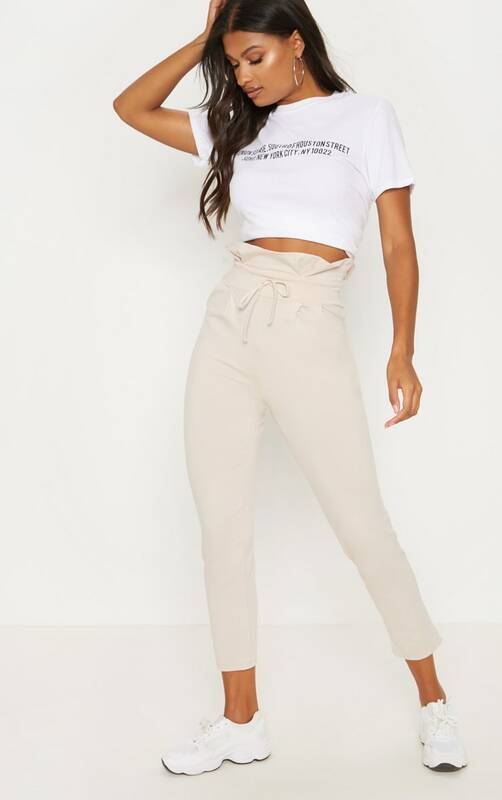 Girl, these trousers are a serious wardrobe staple for this season. 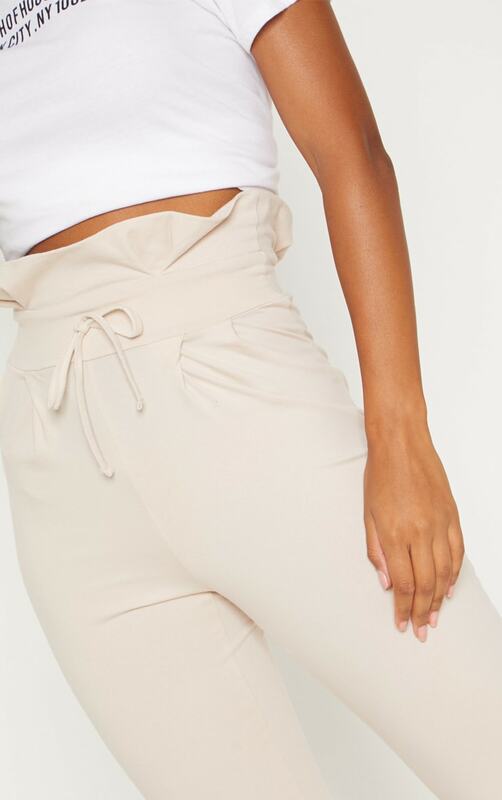 Featuring a cream cotton material with a paper bag waist and tapered fit, what's not to love? Team with a white cropped tee and fresh white kicks for a chilled off-duty vibe.